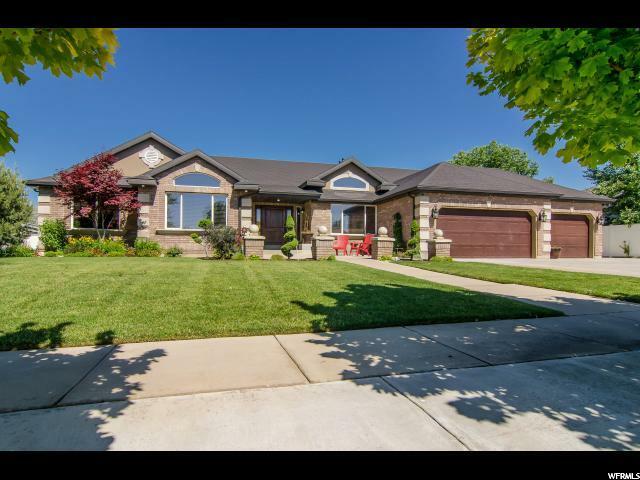 All EDEN VIEW homes currently listed for sale in South Jordan as of 04/25/2019 are shown below. You can change the search criteria at any time by pressing the 'Change Search' button below. "Incredible, completely remodeled Rambler! The home features a huge master bedroom and master bathroom on the main level, large office, formal living and dining rooms, beautifully updated kitchen with granite countertops, stainless steel appliances and more. The main level of the home also features a bedroom that can be used for a salon! The walk-out basement features 6 bedrooms and a full kitchen. The backyard includes a hot tub, fire pit and two areas perfect for entertaining family and guests. To top it off, the insulated detached garage is about 950 sqft (38' x 25') with 14' ceilings. The options are endless with this stunning home, don't miss your chance to make it yours today!"